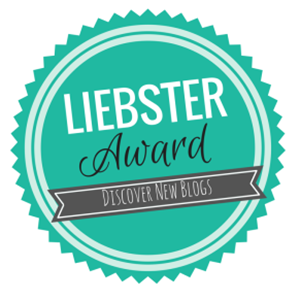 So according to her post, the Liebster Award is mainly for new bloggers with less than 200 followers, in hopes of helping them to become discovered. Keep reading to see who I nominated. It could be you!! 1) I have a cat named Dashington. 2) My daughters love to dance as much as I do. 3) I couldn’t downhill ski if my life depended on it. 4) My first concert was Bush in Auburn Hills, Michigan. 5) I was the captain of my college varsity volleyball team. 6) I believe in love at first sight. 7) My favourite food as a kid was lasagna. 8) I’m surrounded by the Great Lakes but I’ve never seen an ocean. 9) I am so not a morning person. 10) I met my hubby at a Stag and Doe. 11) I drive a van, even though I spent most of my life stating that there’s no way in hell I’d ever drive a van… ever. Lol.